Yes, I have...hence my post. When did Australia get moved to Europe? And check out the specs on the Aussie models. They are generally narrower and shorter. Which is fine if it meets your needs but when you have small areas it's amazing what an extra foot of width will do to the feeling of space. No reason to change direction on design when the RV industry is about to set an all time high for sales for the 2nd year in a row. People love Target and Walmart. The OP said - "Looking outside the US, of course there are some amazing options, all in the $30-40k range equivalent. Where are the US manufacturers who can come close to this?" Answer - you can't, but aside from in Europe itself you can find them Downunder, where European style caravans are the norm. My wife being Australian, we've been many times so yeah, I'd say I have some idea as to where Australia is. Americans could enjoy these well designed, well made campers as well ... EXCEPT for the fact they're not willing to pay for them. 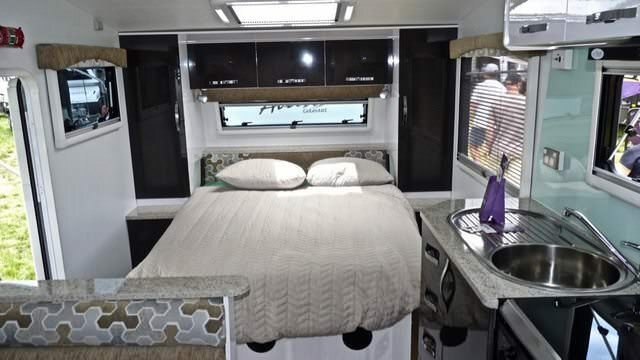 Please, before this turns into some political thing, just looking for a high quality travel trailer, towable by an 7200lb rated vehicle, with a modern interior. All I can find so far is Airstream (the “Sachs 5th Avenue”) of trailers and everything else seems to be Walmart or Target quality at best. Other countries appear to have much nicer mid range options...why don’t we? I’d be happy with Nordstrom’s...or even Macy’s! And check out the specs on the Aussie models. They are generally narrower and shorter. A classic case of ignorance, caravans are built using metric measure, 2390 mm being a common trailer width i.e. 7.8 feet, not chosen because it offers some magical advantage over 8' but simply because that's what works well in metric measure. As in Europe caravan owners aren't dragging around 30'+ monsters because V6 powered mid size vehicles are the preferred choice for towing, necessary because 1/2 ton and larger vehicles as we have here in N America are simply too big. You may not like it but believe it or not there is a world out there beyond the US borders where the vast majority of the world often does things differently than in the US. Get used to it. We spent 2 weeks on a road trip from Sydney to the 12 Apostles and back up through the Blue Mountains with week in Malua Bay with our Australian friends. We saw 2 full size American style pickups, but tons of Utes. Our friend has a Diesel Mazda B50. Basically a Ranger size dual cab 4X4 with a flatbed that looks like the beds on the Home Depot rental trucks. Australia is full of Caravan parks, we were there in the Spring before school let out so most were still empty. Berkshire Hathaway is moving Australia to Europe? Warren and Charlie can do! There is no ignorance they are generally narrower and shorter. The why is really irrelevant. The euro models are smaller than US models. I do like some of the materials and finishes they use, but at the end of the day I see the Euro units as tight and cramped vs. what we have readily available in the US. There used to be a couple brands that I think fit the bill. Google "Earthbound" travel trailers and "Evergreen Element" travel trailers. There are some used ones of each for sale in various locations through out the country. I like both very much. there was a campground adjacent to my hotel in France. 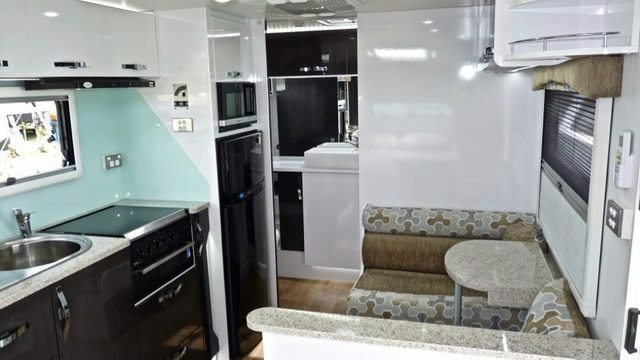 jam packed with TTs about 22 ft long with many/most having a fitted screened room similar to a R Pod, the ones I could see in the front door appeared to have a U shaped dinette that could be made into a bed. nothing fancy but serviceable. saw one large class a at an airport, frankfort IIRC everything else were TTs and class Cs. stopped at a dealer and wasn't impressed. my friend had a C and I was impressed with the cabinetry that appeared to be formica, not US fake wood vinyl shelf paper. had the windows that were plastic, hinged at the top, with shades/screens depending on which way you pulled them.